For the month of April, we are working in collaboration with the wonderful ARTHOUSE. Learn more about the charity and how it’s giving purpose to those with disabilities. Back in 1999, Becky Sheraidah started to run art workshops for men and women living with severe epilepsy, learning and physical difficulties. 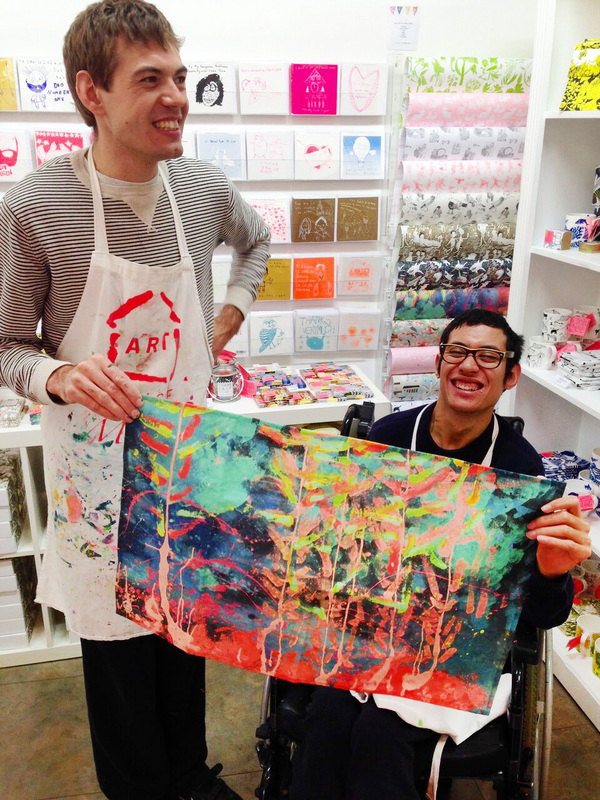 With the workshops allowing those who lived with disabilities to start expressing themselves creatively, Becky could see a positive change in the artists. In 2005 she founded “ARTHOUSE Meath” (or simply, ARTHOUSE) – a thriving non-profit business that offers purpose, health and well-being to each artist through its doors. Since 2005 ARTHOUSE has grown into something recognisable. 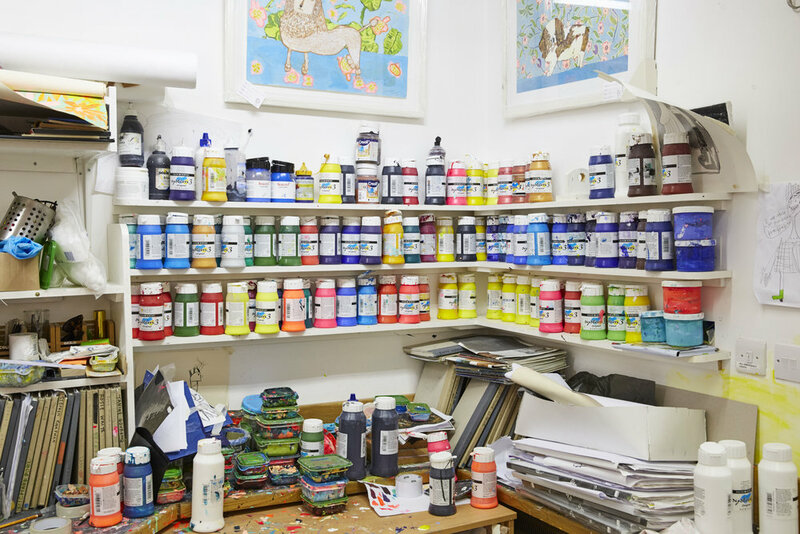 The artists create artworks which are developed into wonderful products for sale. ARTHOUSE is now stocked in over 400 stockists and has worked with brands such as LUSH, Fat Face and the Royal Academy of Arts. 100% of sales revenue sustains the enterprise, enabling it to expand and evolve, and we are so happy to be supporting such an incredible charity. Two of the talented artists featured in our Papergang Box are Chris Hodding and Dominic Chin. Dom and Chris often combine their creative talent, “The best thing is working in a team with my best friend Chris” says Dom. “Our paintings were in the window and then they sold. It makes me feel pretty good to see that. On a Thursday morning it’s fun chaos. One piece of advice I’d like to give to others is just make sure you join in and you can become part of a team”. Yes Dom! Go Chris! 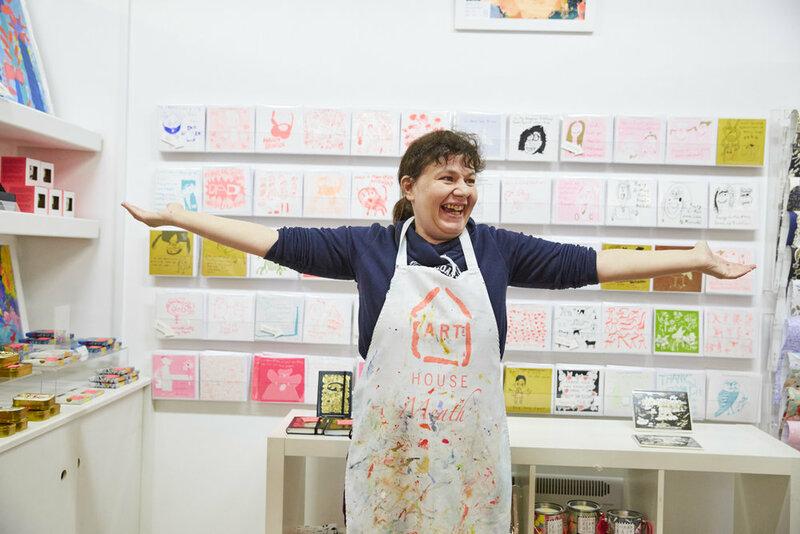 The future aim of ARTHOUSE is to offer people more opportunity and become a household name in order to change attitudes and help people to feel integrated, accepted and respected. Read more about ARTHOUSE on their website arthousemeath.com and follow them on Instagram @arthousemeath and Twitter @ARTHOUSEmeath - yay! Show your support for the incredible artists of ARTHOUSE by subscribing to our April Papergang box! £1 per box goes towards the charity.